A lot of debate is taking place over the new “guns everywhere” law in Georgia. Although gun owners in the state are pleased with the expansion of Georgia’s concealed carry laws, liberal radio show host Mike Malloy is far from it. He is so angered that he said he would like to invite an NRA Board Member to his home and shoot him using the “Stand Your Ground” Law in defense. Once the state’s Safe Carry Protection Act receives the governor’s signature, concealed carry will be permitted in schools, bars, churches, and sections of the airport that are outside of the security parameter. Malloy’s reaction was anything but friendly OR logical. [The] organization founded by Gabrielle Giffords…the former Arizona Congresswoman…who was critically wounded in a mass shooting in 2011, she calls it “the most extreme gun bill in America.” The NRA, which they’re behind this of course, they want guns everywhere….I would like to invite one of the NRA board members, and I’ll be armed, let’s just get this over with, OK? Come on down to Georgia and I’ll be packing heat and you be packing heat or whether you want to or not, I don’t give a damn, it’s up to you. And you come, meet me someplace, and all of sudden, see, we have stand your ground here, and all of a sudden I’m going to feel real $&#^*! @ threatened by you! And I will shoot you! If I feel threatened. The law says I can. Ha ha ha ha ha, Ha ha ha ha ha! Seems to me that Mr. Malloy lost his ability to debate intelligently so he resorted to threats. That’s pretty typical when you face a person who bases his arguments on emotion instead of facts. Once again, another example of a liberal who has no knowledge of guns or the laws the govern them. So tell me Mr. Malloy, why are you more concerned that law-abiding gun owners (who I assume have proper knowledge and training) will abuse the second amendment when you’re the one publicly making threats on a person’s life? But I thought you were AGAINST gun violence!? Kirsten Joy Weiss does a lot of “trick shots” on YouTube. I thought this was pretty impressive. Check her out! California State Senator and gun-control advocate, Leland Yee, has been indicted on charges related to gun trafficking. 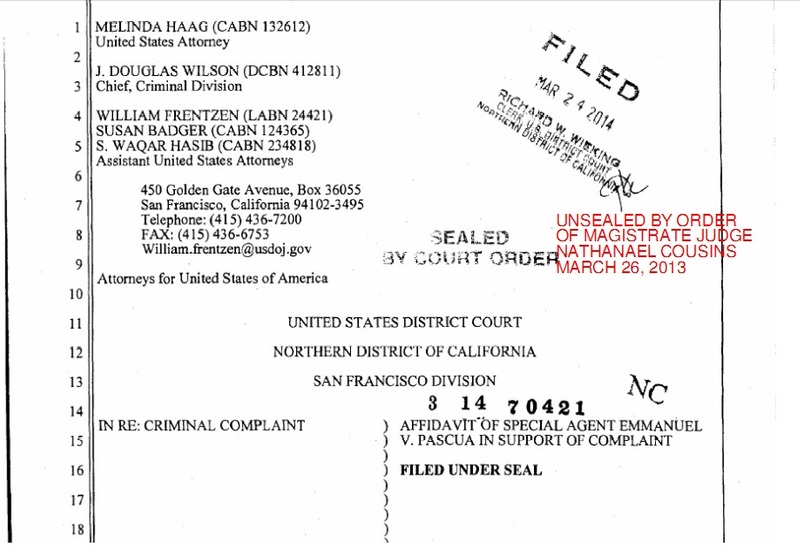 FBI Special Agent, Emmanuel Pascua, filed a 137 page sworn affidavit (view full version here) outlining his charges, which included that Yee’s gun trafficking involved Muslim rebels in the Philippines, or more specifically, Mindanao. According to the affidavit, Keith Jackson (political consultant and Yee’s alleged partner in crime) contacted the undercover FBI agent on March 4, 2014 to set up a meeting and discuss Yee’s request to find a new weapons supplier. At the meeting the next day, the FBI agent identified Dr. LIM as the point of contact in the weapons deal between the Yee and the Philippines. During the meeting between Yee and the undercover agent, Senator Yee explained how Dr. LIM was originally from the Mindanao region and that Muslim rebels had no issue with kidnapping, murdering, or holding individuals for ransom in exchange for money in order to successfully overthrow their government. The undercover agent and Yee then went on to discuss weapons such as shoulder-fire missles and/or rocks and semi-automatics. Yee was told he would be given $2 million in cash to pay for high-powered artillery and the shipment of weapons to North Africa (most likely to be sold to Muslim rebels for the same reason). Why would someone do this? The surface answer is simple– Yee is running for CA Secretary of State. Because of this, he willingly engaged in soliciting illegal campaign donations in exchange for trafficking firearms from Russia to the US to sell to Muslim rebels in the Philippines. But what about what’s underneath? So many people can easily forget about the whole thing in a couple of weeks because they don’t see that there is an underlying problem here. Look at page 101 of the affidavit where Yee claimed that the Philippine government was secretly funding Muslim groups in order to create a distraction from government corruption. Do these points not add up to something strangely similar to the gun-running operation that put weapons staight into the hands of Mexican drug cartels? Wake up people. You have a Democratic State Senator who is willing to aid an Islamist terrorist group all for the sake of funding his own campaign. He was caught and his story is out in the open, but are you honestly not willing to admit there are most likely more of the same scumbags out there that our state/country elected?! Do you not think there was another motive behind this? This gun-control advocate lied through his teeth. He doesn’t oppose guns, he opposes guns in the hands of law-abiding citizens! Lies, hypocrisy, deceipt. All reasons why we need to start asking why senators, congressmen, law makers, and our president all want to disarm America. Scary thing is, it is possible that like Yee, we have more “leaders” trying to get you to buy into the lies about gun violence. Why? So that you’ll fight their battle to disarm America. Why? Because like the Muslim rebels in the Philippines, we have people in power who want to overthrow a large body. It looks to me that in America’s case it’s not the government these leaders are looking to destroy, it’s the people. 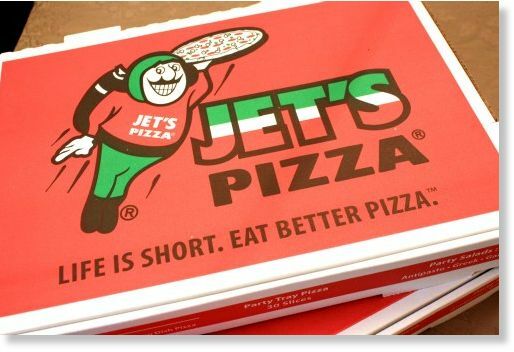 A Jet’s Pizza delivery driver in Redford, MI found himself protecting his life around 11 PM on Saturday night when two attackers attempted to rob him at gunpoint. Luckily, the delivery driver had a gun of his own. According to the police reports, the victim was making a delivery to a residence in Grayfield when he encountered to individuals posing as customers. One grabbed him while the other pointed a gun at him, demanding money. The delivery driver, who was also armed (LEGALLY), then fired a couple of shots towards the attacker. The two robbers then fled the scene to a waiting vehicle while the delivery driver ran to his own vehicle and dialed 911. A couple of hours later, Clarence Sanders, 27, arrived at the hospital with multiple gun shot wounds. On Monday, Sanders was arrainged at the hospital on a charge of armed robbery and the driver of the get-away car was arrested. A warrant for arrest is currently under process for the second attacker. Now that you have the story, I want to take a second and further encourage citizens to own and carry. This situation could have ended horribly for the delivery boy had he NOT BEEN ARMED. He LAWFULLY possessed a firearm which in turn, saved his life and but an armed robber in prison. Did he KILL the attacker? No, but he sure didn’t take the fall for it himself. Truth is, no one knows when things like this are going to happen. Regardless of whether you know it or not, THESE THINGS DO HAPPEN and they could very well happen to you. Disarming citizens who lawfully possess a firearm and don’t choose to abuse it are not the problem when it comes to gun violence, criminals are. If you really want to prevent gun violence, educate yourselves and your families. The only way to prevent gun violence is to take a stand against violent criminals and learn how to properly defend yourself in a threatening situation. Don’t let your families walk into a situation like this and become a victim of a violent/deadly crime. As for all the criminals and thugs out there, be careful. Your victims are packing. PERFECT example of someone who never felt she needed a gun, but was trained on proper gun use and ended up saving her life. This amendment states that people have the right to certain weapons, providing that they register them and have not been in prison. The founding fathers included this amendment to prevent the United States from acting like the British who had tried to take weapons away from the colonists. Well if that isn’t a bold-faced lie, I don’t know what is. Let’s take a look at what the 2nd amendment ACTUALLY says, shall we? What part of “SHALL NOT BE INFRINGED” do you not understand? Look at that simple sentence. Where does it say that you have the right to own CERTAIN weapons IF you REGISTER them? Because, I’m reading over that line and I don’t see it mention any of those words. It doesn’t say “The right of the people to keep and bear CERTAIN arms as long as they register their weapons”. So why teach it that way? It’s quite simple actually. They want to implement curriculum that will make students believe that they have to obtain government approval in order to exercise their constitutional rights. THAT IS COMPLETELY FALSE. Why has it become that government runs the people? You can’t just re-write the constitution so that it fits in with your agenda. That’s not how this works. Wake up guys. They can’t change the minds of millions of responsible gun owners so now they are moving onto minds in which they can manipulate; your kids.